Back when the West was still wild and the rifle was the tool of choice for survival and frontier justice, the venerable .44-caliber put more meat on the table and outlaws in the ground than any other bullet. The West may have been tamed and fenced long ago, but its unbridled spirit lives on in this line of traditional big-bore Henry rifles. This .45 Colt is SASS approved, so Cowboy Action shooters who enjoy stepping back to that bygone era can use it in competition. The traditional 20" octagonal barrel is outfitted with a classic fully adjustable semi-buckhorn rear sight with a reversible white diamond insert and a brass beaded front sight. The tubular magazine tops off at 10 rounds.
" 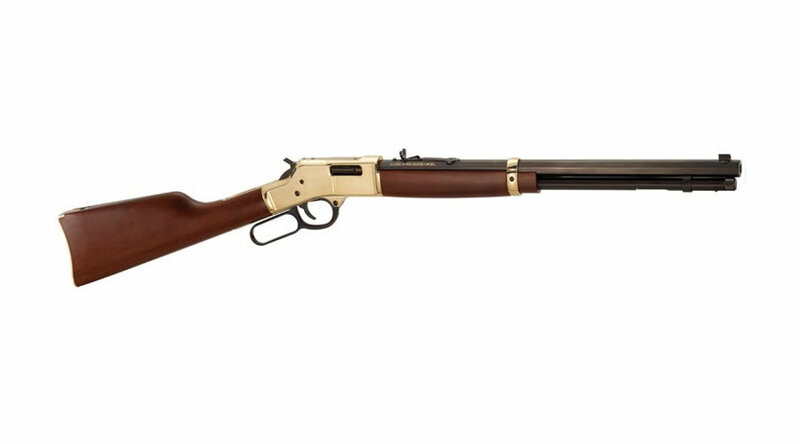 Henry repeating arms are great guns! Great quality USA made products! " " The best rifle to come along in a long time, worth the wait. The gun that changed history "